I have recently watched my friend Ahmed Nabil Gohar's session at JavaOne 2015. It's really a clear and straight to the point session. I'm sharing with you the sessions details (inluding the YouTube + the presentation downloadable link) as mentioned in his post. 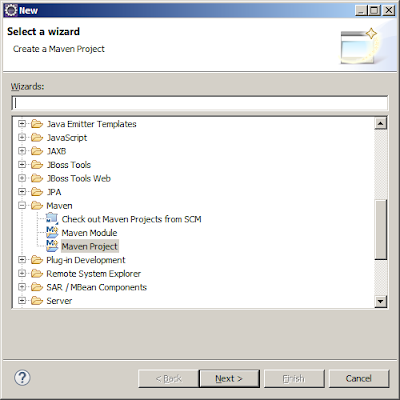 In this example, I will show how to integrate DynamicReport and JasperReports with Servlet and CDI. TIBCO Jaspersoft Studio-6.0.4.final.Eclipse Luna Service Release 2 (4.4.2).WildFly 8.x application server. 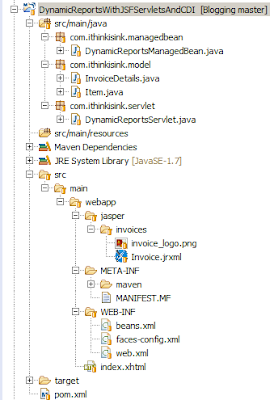 This is a screenshot from the project hierarchy on Eclipse. 1- The pom.xml file contains the required dependencies for the Servlets + JSF + CDI + DynamicReports.